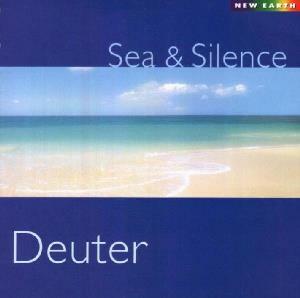 A one man band, Deuter blends acoustic and electronic instruments, ethnic influences, and sounds from nature. 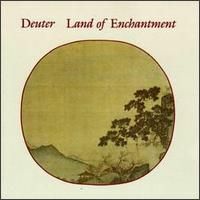 Deuter's spiritual quest has leaded him to India, where he lived on an ashram, studied Indian music, and recorded several albums. He presents a unique and intriguing blend of Eastern and Western styles. 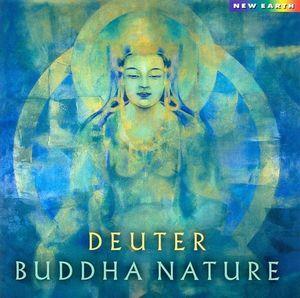 His first recording, D, was released on Kuckuck in 1971, followed by "AUM" in 1972. These both albums are krautrock masterpieces, especially AUM. After, Deuter turned to a more new age style, more accessible, but less inspired. 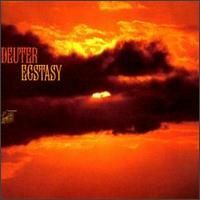 Georg Deuter is a German born instrumentalist who has released more than sixty albums to date since beginning his musical journey back at the start of the early Seventies. These days he is mostly associated with New Age and meditation music, but at the very start of his career, his first few releases were frequently in a Krautrock mold, where rough-around-the-edges ethnic instrumentation blended with organ, electronics and both electric and acoustic guitar passages. His classic debut `D' from 1971 was comprised of schizophrenic and psychedelic sound collages, the follow up `Aum' a year later focused on a variety of shorter eastern-flavoured fragments with strong world music elements. Fortunately, 1976's `Celebration' was still quite a way from the placid New Age flavours he would eventually move in to, embracing a frequently acoustic hippie-folk vibe whilst still making time for experimental Krautrock-styles electronic and ethnic-laced drones. The trio of the two part `Celebration of the Moment' that opens and closes the first side of the LP and the purposeful `Life is Love' are mostly contemplative flute ruminations crossed with vigorous acoustic guitar rambles that at least remain quite lo-fi enough to maintain just the tiniest trace of grit, pretty much a constant to all the acoustic playing throughout the album. But it's the eleven-plus minute ` Von Hohen Himmel Ein Leuchtendes Schweigen' that proves to be exceptional and completely intoxicating. 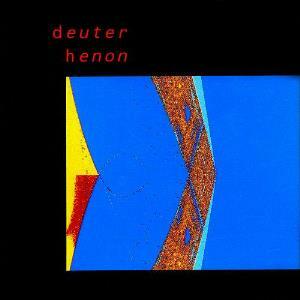 A seeping and humming electronic drone consuming a blur of groaning chants and uplifting acoustic themes, it reminds of the best of the Krautrock-associated groups that blended ethnic elements with electronics and is truly one of the best pieces to appear on a Deuter album. Side B's spontaneous `Grass Grows by Itself' initially opens with lightly trilling synth wisps over placid acoustic guitar strums and gradually emerging low-key groaning sitar strains before diverting into a sweetly joyous flute dance. The hypnotic chiming guitars flecked with delay of `Solitary Bird' briefly call to mind the classic Manuel Gottsching/Ashra works, soon joined by eerie wavering synths that hold just a hint of unease next to drifting flute drones. `Le Ciel est Bleu' is an experiment in cut-up harmonica and ringing sitar over glistening electronic programming, and the field recordings of nature that pepper the background of `Easy is Right' (almost reminding of Pink Floyd's `Cirrus Minor' off their classic `More' soundtrack!) 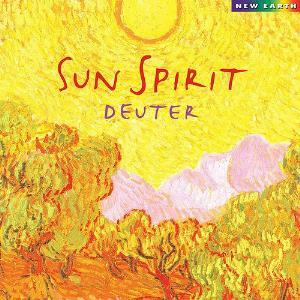 close the disc behind spirited and toasty acid-folk guitar strums with just enough of a deliciously shambling manner to really nail the laid back summer vibe. 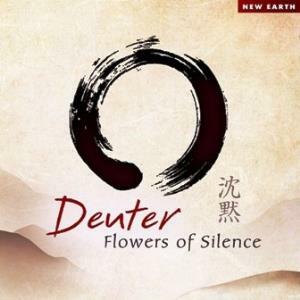 Deuter's third album may be gentle, but there's a massive difference between faceless, overly- pretty and pleasant New Age pap and intelligent, undemanding music that is meditative and full of personality and atmosphere. Truly the soundtrack to a hazy warm afternoon with its sunny and embracing vibe, `Celebration' is a very respectable and dignified work that still finds the time to carefully experiment within its affable acoustics. 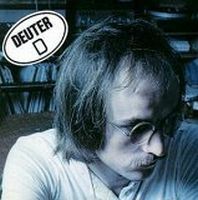 An innovative artist who composed sound collages in the early Seventies built around experimental Krautrock-like mixes of electronics with ethnic elements on a rich variety of musical instruments from around the world, Georg Deuter began gradually moving towards a calmer, pleasing sound that would come to be identified with the emerging New Age styles of the early Eighties. Sure enough, 1982's `Cicada' offered mainly placid and thoughtful acoustic compositions with subtle keyboard enhancements, but there were still traces of the interesting longer pieces here and there proving precious and inspired. 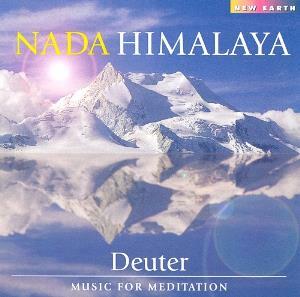 Credited here as Chaitanya Hari Deuter in line with his spiritual rebirth, the artist offers a soundtrack of soothing Eastern mysticism presented by flute, harp, acoustic guitar, sitar and the gentlest of synths. Tiny trickles of synths unwind around breezy flute on opener `From Here to Here', a cosy and comforting theme that embraces the listener to begin the album. Much more interesting is the nine- minute `Light', where a hypnotic yet restrained sequencer loop, twinkling chimes and floating flute drifts around victorious rising synth themes, and it even lightly calls to mind the dreamier moments of Novalis, Mythos and early Eloy. 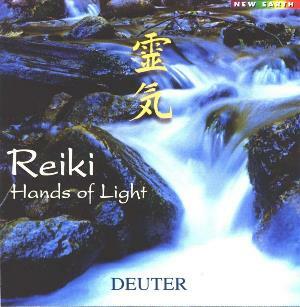 The title track is another of the longer pieces running over six minutes (and the first half comes the closest to Deuter's early Krautrock flavours) with contemplative acoustic guitar gradually unveiling behind twitchy spacy bubbling synth ripple ambience with just a hint of Yes worked in, and `Sun on my Face' is a placid acoustic guitar, reaching sitar and delicate flute rumination to close the first side. 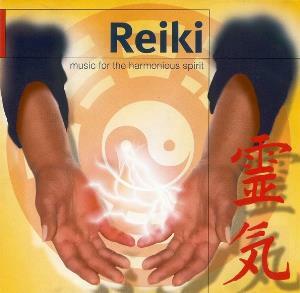 After a reprise of `From Here to Here' to open the second side, the crystalline synths, flute and acoustic guitar of `Sky Beyond Blue' could easily sit alongside the first few albums from Kitaro, and `Haiku' is a reflective awakening flute meditation with harp. The longer and predominantly electronic `Alchemy' is a blissful dreamscape of ringing chiming synths spirallng into infinity behind contemplative flute and an emerging groaning mantra. The album closes with a thoughtful and almost sombre ambient flute drone `Between Two Breaths'. 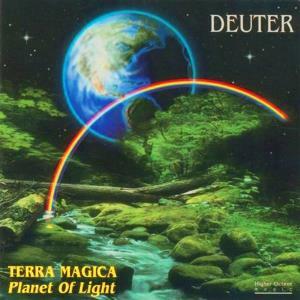 While it's in those early works like `D' and `Aum' that the real magic remains, Deuter can still be admired for a long series of tasteful, quietly intelligent and sumptuously performed ambient-related albums. His spiritual and creative inspiration permeates everything here, and `Cicada' works best as an unassuming, melodic and sweet background listen with a few little welcome surprises waiting to be discovered as well. 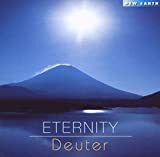 Georg Deuter is a German born instrumentalist who has released more than sixty albums to date since beginning his musical journey back at the start of the early Seventies. He is mostly associated with New Age and meditation music these days, but at the very start of his career, his first few releases were firmly in the Krautrock mold, where rough-around-the-edges ethnic instrumentation blended with organ, electronics and both electric and acoustic guitar passages. 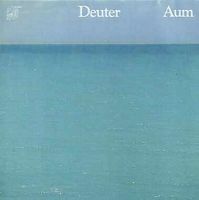 His classic 1971 debut `D' favoured lengthy psychedelic and avant-garde sound collages, whereas this follow up `Aum' a year later focused on a variety of shorter eastern-flavoured fragments (although the two sides of the vinyl run continuously together as suites of music) with strong world music elements. It's a different approach to his first disc, even holding a frequent dark ambience in several spots, yet it's no less captivating, and just as much a defining Krautrock work as that precious debut remains. Opening with a storm crackle, `Phoenix' begins the first set with faraway acoustic strums, flighty recorder and field recordings of nature weaving together warmly, plodding bass and gentle percussion rising around eerie drones, groaning sitar, chant-like wavering voices and bubbling electronics. The second suite takes up the remaining first side, starting with maddening tribal-like drumming over a cold machine-like hum that turns oddly calming and soothing as it progresses, before moving through reverberating pristine slivers that pierce the air to finally culminate in grinding sitar strains. `Soma' begins the third and final suite, taking up the entire twenty-one minute second side. Calming ocean waves lap behind spirited acoustic guitar ruminations, frantic driving percussion runs merge with droning electronics, pulsing bass and reaching electric guitar bursts weave through glacial ethereal hums. Crystalline chimes shimmer amongst rustling hand-percussion rapture until a final dance of sitar full of spiritual ecstasy brings the inner journey to a close. 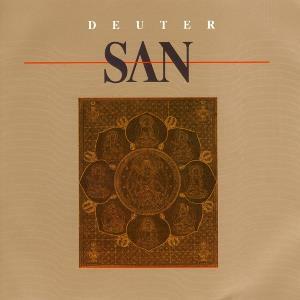 Most of Deuter's Seventies and early Eighties albums would still offer intelligent and hypnotic compositions, but as that decade continued, he would gradually reign in the headier, lysergic Krautrock qualities, replacing them with calmer moods that would come to be associated with the then emerging New Age genre, even if they were still impeccably written and performed. 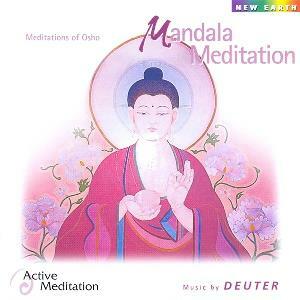 But it's in these early works that the real magic remains, and with especially both `D' and `Aum' here, we experience a fractured glimpse of a thoughtful, inspired artist with a timeless musical vision. 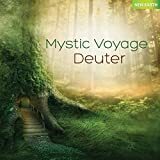 Georg Deuter is a German born New Age instrumentalist who has released more than 60 albums to date since beginning his musical journey back at the start of the early Seventies. 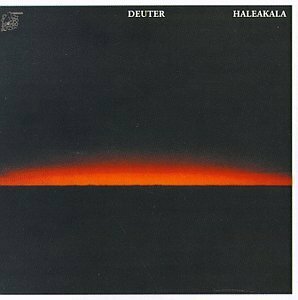 However, his debut album `D' in 1971 was a far cry from the placid and pleasing synth soundtracks he would later adopt, instead it's a pure daring Krautrock classic that sounds like no other album. Deuter's debut is comprised of a series of schizophrenic and psychedelic sound collages, mixing everything from electronic organ drones, acoustic and ethnic instrumentation with inventive production techniques for the time and avant-garde experimentations that are initially bewildering and disorientating, yet utterly fascinating and captivating, truly the result of an inspired artist with a reaching vision. The surreal four part fifteen-minute `Babylon' is a fragmented and psychedelic work of beauty, a frequently ambient but often jarring and unpredictable soundscape. Pink Floyd- like brooding spacey guitars chime over a gentle cacophony of church bells, babies crying, machine-gun fire and soaring jets. Murmuring bass lurks behind distorting repetitive mantra-like guitar stabs, ethereal glistening organs rise and fall around backwards effect slivers and warping swallowing voices that float amongst cocooning deep space loneliness. This piece shares a similar defiant edge of anything goes that the early Vangelis albums had and the cosmic yet earthy ambience of Popul Vuh. The rest of the first side contains the plodding `Der Turm/Fluchtpunkt', a compact but heady concoction of tabla beats, panning effects and wailing wordless siren calls, with eerie straining Gong-like glissando wisps and fuzzy guitar-fuelled chugging grooves to bring a Can-esque dirty stomp. Frantic, heavy grinding sitar drones race through the ten minute opener of the second side `Krishna Eating Fish and Chips', gradually speeding up to become overwhelming, hypnotic and almost maddening. Around the bubbling atmospherics of `Atlantis', a mix of snaking hissing electronic drones, a drumming pattering of tabla-like beats, shimmering unearthly sighs and backwards effects truly sound like a duelling storm between Heaven and Hell. The opening passages of `Gammastrahlen-Lamm' emerge like a bad nightmarish trip, but piercing droning slices, chittering whispers and reverberating machine hum quickly gives way to a thoughtful and melancholic pulsing organ drift that ends up almost meditative and enveloping. Take your pick - Is this Krautrock, avant-garde, progressive-electronic, world/ethnic music, psychedelic? The answer is purely none of the above and yet all these things at once and more. Despite its many freeform elements, `D' never collapses into manic, splintering and tuneless chaos, instead retaining a trace of subtle melodicism within its explorations, and despite a few moments that take on a `hippie' vibe, there's a constant restlessness, an intensity bubbling under throughout even the most mellow moments. 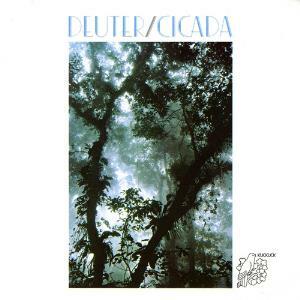 Although the artist would later take his music in a very different, more sedate New-Age direction (which has endeared him to a great many fans around to the world to this very day, to which he should still receive respect for), this evocative, fragile little jewel is easily the equal of the early Seventies Krautrock-electronic hybrid albums such as `Atem', `Alpha Centauri' and `Irrlicht' from fellow German artists like Tangerine Dream and Klaus Schulze, and is just as ground- breaking and influential in its own little way. An essential Krautrock release worthy of five stars. The imaginative and thought provoking album title 'D' is an odd recording which has quite a few organ drones throughout. It's entirely instrumental with some distinctly Ash Ra Tempel similarities. There's also a fair amount of backward taping which always pleases my brain. 'Faust' like guitars are played on 'Babylon' giving a very Krautrock feel. Happily each track sounds relatively different from the last, even though there's the cheesy 'Krishna Eating Fish' track where the white guy gets hold of an Eastern instrument (Sitar) and waffles about aimlessly, strumming nothing in particular and endeavoring to break the shackles of a homeland he wants no part of. Bah! I hate that. Interestingly, he was born 10 days before the awful bombing of Dresden. And uncannily, like Edgar Froese who was born on the same day as the D-Day Landings on June 6th June '44. There's too may other good German bands out there to bother with this if truth be told. It's too soft and flat to merit anything more than an average score. Perhaps the exception is 'Atlantis' which is far more experimental with its 'Moolah' and 'Zoviet France' reversed phasing. A full album of this and I'd have been more than happy. Call me 'Shallow Hal' - but this loses a star due to the front cover. I mean, come on - would you hand this over on a first date to the woman of your dreams? Less experimental, more focused song writing, great results! Stepping aside from his earlier electronic experimentations, Deuter shows an unknown dexterity for creative and serious musical composition. In "Ecstasy", the biggest surprise are its early rennaisance and baroque musical figures, alongside very "electronic" compositions. 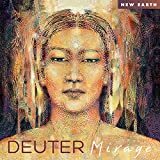 For starters do not mistake this work by its art cover, name or the future "new age" music, Deuter will pursue without rest, in posterior projects. Here in this work, the freshness of new found methods of expression, that are both novel and original, express themselves with a very tasteful, balance of what may seem, at close distance, as opposed goals, turns out succesfully, due to the precise dosage of creative, yet un-pretentious "classical music" structures, rendered into form with a match of "electronic" synths that instead of emulating the sound of acoustic instruments, catches their spirit with analogue synth sounds, which greatest attribute, is not faking the original acoustic sounds, but "catching" their inner "depth" and sonic timbre. So,.. Really inspired songs that move around very "progressive" electronic pieces, counterpointed by classical music early structures, into "new age" like-environments. Pulling it off, with innovative but "focused" musical composition and a "measured" but inspired performance. 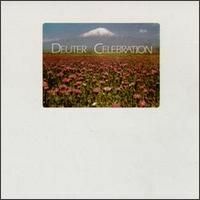 ****4 "A jewel in Deuter's discography, therefore a "jewel" for Prog audiophiles, electronic and not", PA stars. 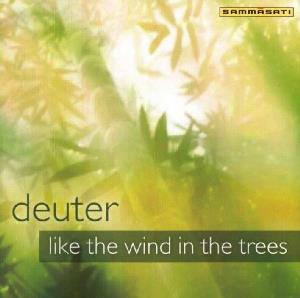 The second album by Deuter, Aum, sees the composer embracing influences from Indian music and incorporating them into a largely bland New Age framework. Penultimate track Susani is the odd man out here, exploring as it does dark ambient realms which remind me a little of some of Brian Eno's work later in the decade, but it's not quite enough to justify the tepid, featureless, uninspired material that surrounds it. 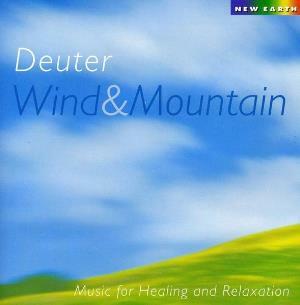 Nor does Deuter's use of ideas from Indian music ever quite come across as authentic; in fact, it feels like a gimmick. The album isn't outright incompetent, but at the same time I can't strongly recommend it. 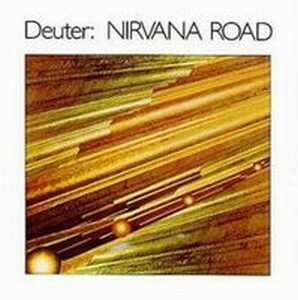 Far more lively and varied than the tranquil New Age material that would come to dominate his career, Deuter's debut album is a good but not fantastic contribution to the krautrock scene, with a bunch of chaotic musical ideas thrown in but nothing memorable enough to call to mind five minutes after listening to it. Probably the most interesting thing about it is that this is a one- man project, with multi-instrumentalist Deuter playing every instrument you hear - but that said, there's plenty of similar experiments of this sort out there, and this one is hardly the best. It's by no means terrible, but at the same time it isn't anything to get too excited about. It's spacey experimental krautrock full of odd noises. Even in 1971, that had become a cliche. 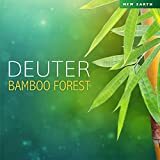 Deuter follows up his debut album `D' with a change of scene and spiritual inspiration; travelling to India to make music had a profound effect. 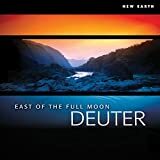 This time, armed with a 4- trackmachine and a customsfriendly EMS suitcase synth, Deuter lays down an album of light meditative beauty. The parallels with Popol Vuh's music are audible, although one is quite prepared to give either the benefit of the doubt as to who influenced who...it was everyone's `trip' to go to India in those days. The album flows from start to finish in and out of bright sitar-led pieces, beautifully recorded ocean sounds, and spacious guitar figures, underpinned by the aforementionned synth providing electronic drones and decoration here and there. For 1972 this is incredibly ahead of it's time, it has a joyful spiritual centre a long way from the cliched wallpaper `New Age' music would eventually become. If you're looking for a rich, texturally beautiful late night album this might well be the one. There is a lightness and flow which add up toa sumptuous whole and never is it less than stimulating and captivating. 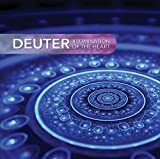 The spirit of peace that Deuter found in India (to the extent that he found his own guru, and was able to use his dwelling as a studio) shines through on this sparkling album, which like the cover sounds blue, oceanic and genuinely blissful. Deuter may not be a name familiar to many. His extensive catalogue consists largely of what most people would describe as `New Age' music. This is not the case here, on his debut work. Coming from the motherlode of classic and forgotten Krautrock, Esoteric Records' Reactive imprint has once again uncovered a gem (see also the follow up release the very different `Aum' also on Reactive). Originally issued in 1971 on the Kuckuck (Cuckoo) label, `D' is a fascinating early attempt at a multitracked solo album, which is interesting not least for the technical limitations it overcomes. Using a single two track Revox tape machine, Deuter overdubbed layers of instruments and `found sounds' by bouncing tracks between left and right channels to create a captivating one man work. It is a triumph in that the sound quality is superb, it is wonderful in stereo throughout and a superbly conceived set of sound pictures and layered and varied instruments. Deuter was as the excellent sleevenotes point out, working with about 1% of the technology available on a laptop today, and it is largely a triumph. The emphasis is on the textural rather than the melodic but there is much to hold the attention. The opening 15 minute epic `Babylon' is an excellent demonstration of recording techniques using found sounds, organ, and varispeed, glissando and backwards guitar to fully realise a constantly shifting soundscape suitable for late night contemplation. The ideas come thick and fast over its long duration covering all points between `Kosmische' and `Raga' rock, all expertly spliced into a satisfying whole. Flip it metaphorically over to side two and you have a suite of captivating music influenced as much by Stockhausen as early Pink Floyd. 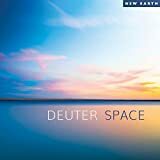 There are echoes of Klaus Schulze in the organ work, although it is far more economical than Schulze's sometimes overlong and crude extemporisations of the era (Deuter takes five minutes to say what Schulze might have said in twenty-five). 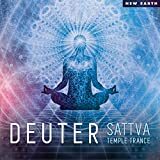 Deuter blends natural sounds, using water for its musical qualities, and `Krishna Eating Fish and Chips' is a lovely sitar work out (despite the frivolous title) that seeks to find the beauty in the instrument rather than any superficial treatment of it. `Atlantis' is a suitably watery textural piece, and closer `Gammastrahlen-Lamm' again uses organ drones to full effect. There are a wide range of fascinating musical movements over the course of this 40 minute album, yes it was recorded in a one bedroom apartment, but it is a triumph of imagination both in music and recording/engineering techniques and overall is a dark mystery well worth investigating.